Without shying away from the painful parts of life, this anthology celebrates the role of fathers in their daughters’ lives. 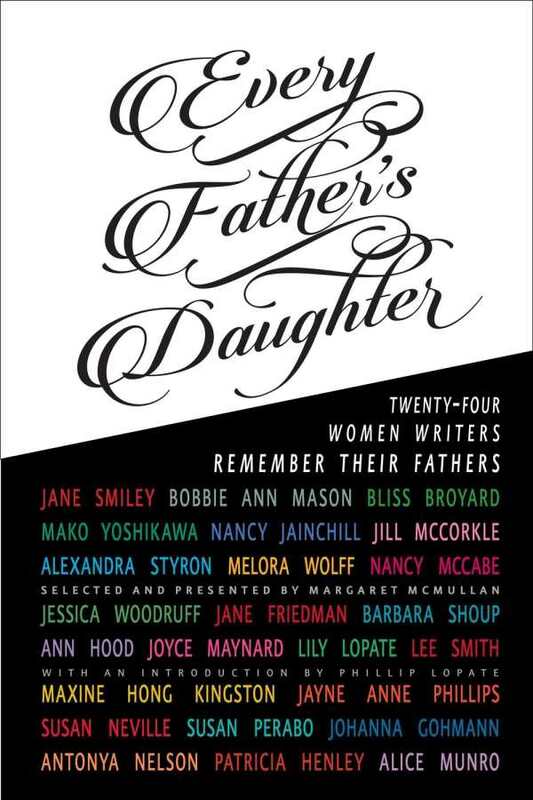 Every Father’s Daughter: Twenty-Four Women Writers Remember Their Fathers, selected and presented by novelist Margaret McMullan, is a heartfelt, honest look at the father-daughter relationship. The book is full of fondness, beginning with McMullan’s experiences, but disappointment and hurt are inherent in all relationships, and that seems especially true with fathers and daughters. Yet, on the whole, this collection is compassionate and eschews bitterness. It doesn’t shy away from the painful parts of life and the failures of fathers. Overall, it is a celebration of the role of fatherhood and a celebration of self—we are who we are, the authors seem to echo, because of our fathers: who they were and who they weren’t. Each chapter is written by a different writer, and the chapters are grouped by three larger themes: “Absences,” “Lost & Found,” and “Presences.” These ideas, in addition to the general theme of father-daughter relationships, unify and give shape to the book. As no two relationships are alike, no two of the women’s voices are alike. The sole male voice, the introduction by Phillip Lopate, gives a more distant, overarching picture of the father-daughter bond—tracing linguistic, gender, and sociological facets. McMullan includes Nobel Prize winner Alice Munro, Pulitzer Prize winner Jane Smiley, and essayists, journalists, novelists, and writers of various levels of acclaim, and seems to include every literary prize and professional writing achievement. About ten of the selections have been previously published, but the bulk of the anthology is new material. This book will be most enjoyable for adult women who are grappling with, cherishing, searching for, or remembering their fathers. These women’s voices will also give fathers—young, old, and in between—insight into how their lives and presence affect their daughters. In this anthology, nearly every daughter will find a voice that resonates with her own paternal relationship.